Who’s ready for a punk-pop revival? Good, because legendary San Diego punk-pop band Blink-182 have released the official music video for, “Up All Night,” the debut song off their highly-awaited new album, Neighborhoods, which comes out on Sept. 27. Neighborhoods is the band’s first studio released since their 2003 self-titled record, making this a long-overdue release for Blink-182 fans. 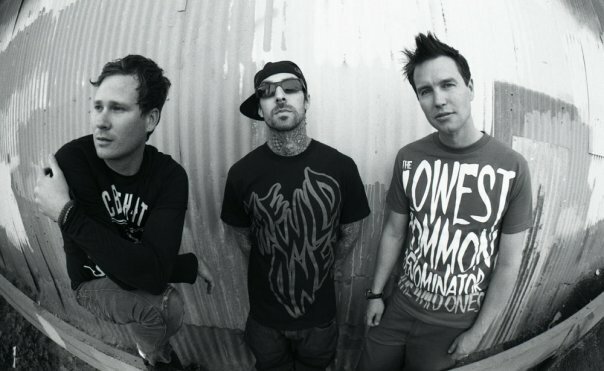 The song, “Up All Night,” has apparently been in the works since the guys reunited in 2009, but the Tom DeLonge, Mark Hoppus and Travis Barker never played the track for any of the band’s reunion shows, wanting fans to hear it, for the first time, as a proper single. The track is another three-chord punk limerick that packs energy and quirky lyrics, and the video — which has the guys tearing up a glorified block party — is classic Blink-182. Blink-182 are currently on tour with My Chemical Romance.